The interesting thing about my Blindspot series is that I’ve placed these films on the list because I’ve heard so much about them, and as a result have built up different levels of expectations. Half the fun of the series is comparing my expectations of what the film’s story might be, to what the story actually is. And I think the dissonance between my expectations and the film’s reality was particularly evident for The Maltese Falcon. The way everyone seemed to talk about this one, I half expected a rollicking adventure akin to Hitchcock’s The Man Who Knew Too Much (1956). The action of The Maltese Falcon is mainly based indoors, and is talked about rather than directly shown, which was somewhat of a disappointment. But once I got over my initial disappointment, I was completely entranced. 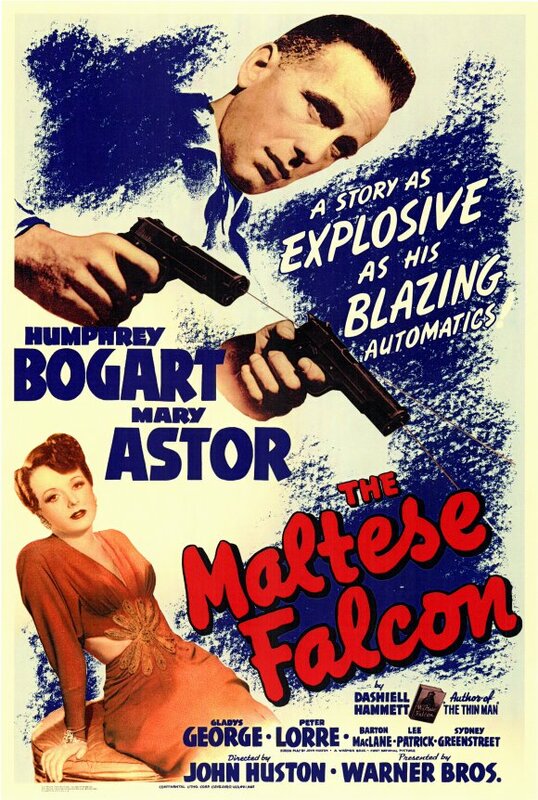 In short: The Maltese Falcon is a very enjoyable film indeed. Tense direction by John Huston, a smart script also by Huston, and gorgeous cinematography by Arthur Edeson ensures that this is one of those film noirs that fits the classic criteria: a smokey, shadowy landscape; a dangerous femme fatale; cartoonish villains; and a hard-boiled private eye with a sixth sense for danger. Humphrey Bogart seems to be made for the role of Sam Spade the private eye. His performance borders on a bit of scene chewing, but at the same time, it’s so wonderful to watch him in action. He makes the character come alive. A cast of co-stars support Bogart wonderfully, particularly Mary Astor as the beautiful and cold Brigid O’Shaughnessy. Peter Lorre as the neurotic Joel Cairo is also a highlight. All the personalities of the film fit together in a haphazard but engaging manner, and the mystery of the falcon itself also propels the story along nicely. 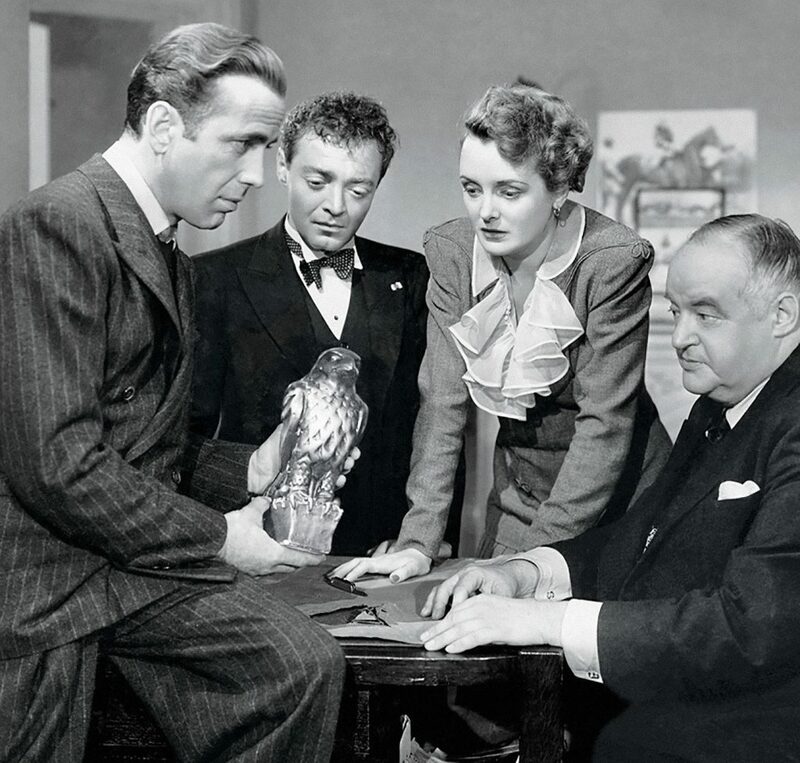 The Maltese Falcon is an enjoyable film noir slash mystery slash thriller slash suspenseful drama, but it’s probably best to enter into it without too many expectations. The film is considered a classic by a vast majority of people, and as a result, could be considered required viewing for any self-respecting film lover. Ultimately, the film is a very engaging character study around personal ethics at odds with the ethics of others, and what happens at the intersection of greed and trust. It’s worth watching for Humphrey Bogart’s performance alone. Great point about expectations and how they alter our enjoyment of a film. That said, I really enjoyed this movie when I watched it for the first time a few years ago. I’ve got a weird relationship going with Bogey. I often like the movies he’s in despite him, not because of him. That is the case, here. I often find him a bit on the wooden side. This is no exception. Excellent film, though. Yeah, particularly when it comes to the classics (and more often than not, my picks for the blindspot series), it’s difficult to not allow prior perceptions of films to affect your enjoyment of the film in the present. It was pretty tough with this one, but it’s still an enjoyable film! Thanks heaps! 🙂 I enjoyed this one. Love that Bogart. Nice review Anna. It has been a while since my last viewing of this. Hi Anna, how are you? I’m great thanks Vinnie! How are you going? I am doing quite well as of late. I’m really glad to hear it! 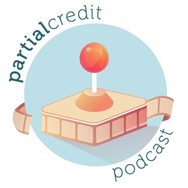 😀 I hope to get a chance to catch up on your blog soon! You are welcome on my blog any time. ← Paris Is Burning (1990): Quick-shot review!